i found this book growing musty and disgusting in my parent's basement. a piece i did in college. 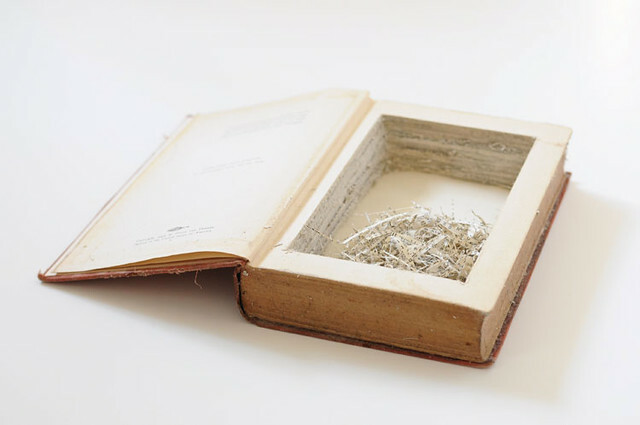 certainly not an original idea, to hollow out a book, but i still kind of like it. too bad it's beyond hope (basement-smell-wise). in the trash you go, buddy.